Posted March 22, 2016 by Dr. Glenn Norton & filed under General Dental Articles. Another holiday traditionally packed full of sweets is upon us, and at my Evansville dental office, we’re all about sweet treats — in moderation. Moderation is key to any diet, especially when it comes to your oral health and sugar-loaded snacks. 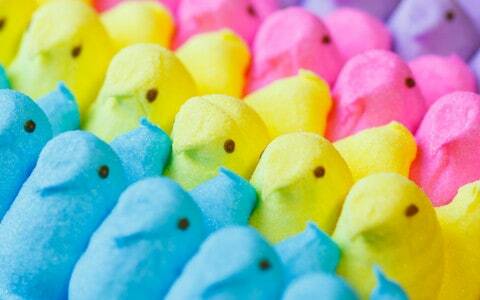 This Easter, try to avoid these top three worst candies, and swap them out for healthier alternatives. Besides avoiding, or at least limiting, the top three worst candies for your grin, make sure you brush and floss everyday and maintain regular visits to your dentist in Evansville. Both are crucial for health smiles and healthy bodies. If it’s time for your checkup and you’re looking for a dental team that puts you first, give my Evansville dental office a call. We’ll be happy to see you!